Summary Review Evocative and rich in atmosphere, Mansions of Madness is an amazing horror-based mystery board game that is well worth the cost for the imaginative puzzles and story designs alone. In addition, the game comes along with wonderful miniatures to bring the nightmarish terrors to life! 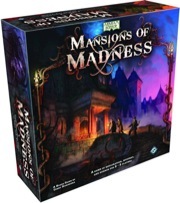 Detailed Review Mansions of Madness is a mystery board game set within the established Arkham Horror setting of Fantasy Flight games. The Arkham setting takes place as an alternatively dark and foreboding 1920's America; specifically in the fictional Arkham, Massachusetts. 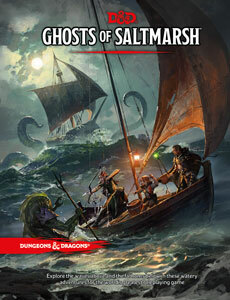 Unlike the Arkham Horror games, Mansions of Madness does not have the players, acting as investigators of the paranormal/unnatural, traveling throughout the city and its neighboring locations. Instead, you investigate a specific location within Arkham. Before the investigation begins, the Keeper (the player playing the antagonists in each story) crafts the exact design of the story by choosing specific selections for the players to investigate. This is a unique and innovative design choice that makes for repeat play-throughs without becoming too predictable. No matter what, each scenario is horrifically evocative and truly harkens back to the stories of H.P. Lovecraft and the Cthulhu mythos. As part of gameplay, there are several puzzles that players will need to solve in order to gain entry into new rooms within a given map. These range from slider'esque puzzles to "tumblers" and wiring puzzles. The number of possible moves is directly affected by the investigator's stats. Finally, the game comes stocked with wonderfully sculpted set of miniatures for the investigators and the terrifying monsters awaiting in the Mansions of Madness!